Silva & Silva Photography wins the prestigious "2018 Wedding Wire Couple's Choice" Award!!! About the award......The WeddingWire Couples’ Choice Award recognizes the top 5% of local wedding professionals on WeddingWire that demonstrate excellence in quality, service, responsiveness, and professionalism. Winners are selected solely based on reviews from over 1.2 million newlyweds and are determined by a combination of excellence in four factors: overall rating, total number of reviews, review performance from 2016, and consistency of reviews from year to year. Visit our Wedding Wire page by clicking the award on the left. Silva & Silva Photography wins the prestigious "2017 Wedding Wire Couple's Choice" Award!!! About the award......The WeddingWire Couples’ Choice Award recognizes the top 5% of local wedding professionals on WeddingWire that demonstrate excellence in quality, service, responsiveness, and professionalism. Visit our Wedding Wire page by clicking the award on the left. Silva & Silva Photography has all 5-star ratings on Wedding Wire! Let our Happy and Satisfied Wedding Couple's do the talking for us!!! 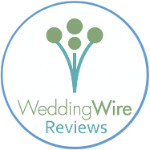 See all our great reviews on Wedding Wire. Click the Wedding Wire logo on the left. Silva & Silva Photography won The Knot's "2014 Best of Weddings"! View our 5-star reviews on The Knot by clicking the award on the left.